2018 NJ Spring Camp Recap - Warren Dominates! 2018 NJ Spring Camp Recap – Warren Dominates! 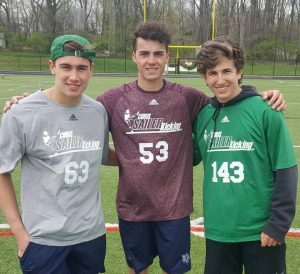 The 2018 Chris Sailer Kicking Spring Tour made a stop in New Jersey on Sunday, April 29th. The camp took place at Hopewell Valley Central High School and featured participants from NJ, NY, VA, PA, OH, MD, and SC. Evan dominated on FG’s from start to finish winning both FG competitions. He he also showed the ability to Kick-off driving a couple of balls 65+ yards. Aidan had a solid day kicking off. Winning the competition with a ball 60 yards and a 3.82 hang. He also showed he had the ability to hit field goals with great height off the ground. Sebastian had a very consistent afternoon punting which allowed him to win the competition with a punt over 4.4 hangtime. Sebastian is a also a very talented Kick off guy. He is a very good kicker who showed his D1 ability on KO’s by taking the top hangtime of the day. His best ball of the day measured 58 yrds, with 4.05 hangtime. Chris Clark (2020) is a very talented young kicker that has a lot of potential for his age. Gets great height on his field goals off the ground. As he continues to work his form he will be someone to watch in the future. 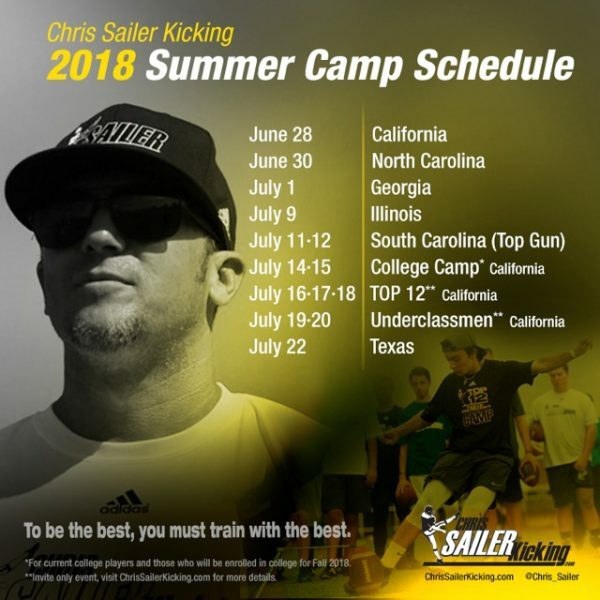 Filed Under: Article Archives, High School, Kicking, Punting, Recruiting, Training, Uncategorized Tagged With: Adam Heston, Aidan Mulreed, Casey Barrel, Chris Clark, Chris Sailer, Chris Sailer Kicking, Evan Warren, Exposure, Hopwell Valley Central High School, Lake Garrett, Luke Wayson, New Jersey, Nick Bastile, Sam Hogan, Sebastian Constantini, Than Hylen, Tommy Dellapota.